Our party of heroes return to Baldur’s Gate under cover of night and smuggling. They are still outlaws in the city, even after saving the world again. The party splits up to attend to their own business, and we follow Minsc and his pet hamster, Boo. Minsc is still looking for heroic deeds to accomplish, and he appears to have found one with a new hero in Baldur’s Gate. He seems quite impressive, but he is hiding a terrible secret underneath it all. 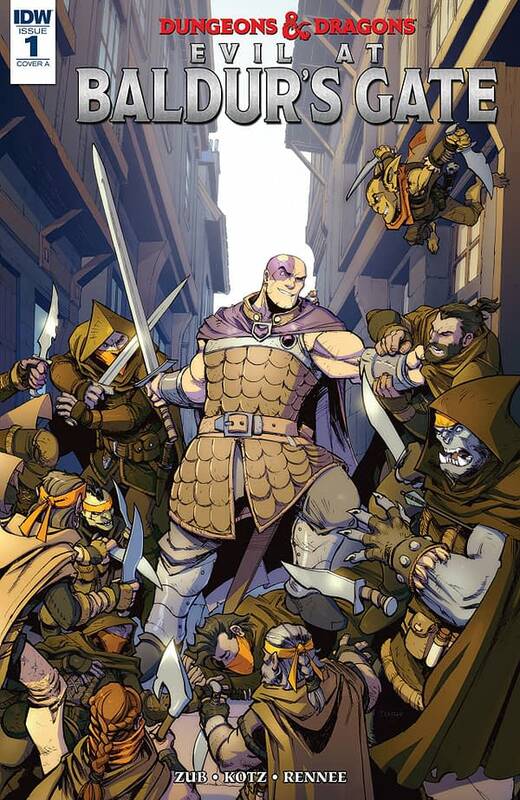 Dungeons & Dragons: Evil at Baldur’s Gate #1 is a humor-focused fantasy tale following the aforementioned Minsc. He thinks himself a classical hero, but he’s quite dull even though he means well. He has many entertaining lines and even reminds me quite a bit of the Tick. Boo is quite adorable and even fights himself from time-to-time. The story meanders a bit as it establishes the starting point of this series. The “new hero” Minsc discovers isn’t even around that long before we discover what his terrible secret is. The funny thing is that his secret, while it is enough to get Minsc to turn on him, seems like it shouldn’t matter all that much to someone whose idea of a good time is stabbing bandits with a broadsword. It’s like if the Punisher didn’t like Wolverine because he stabs people to death instead of shooting them. Actually, the Punisher and Venom is a more apt comparison, but going into more detail would give away the ending. Dean Kotz’s artwork looks quite good throughout the comic. It handles the fantasy elements well while still feeling weighty and tactile. The characters are all expressive and look distinct from one another. The action scenes are visceral. 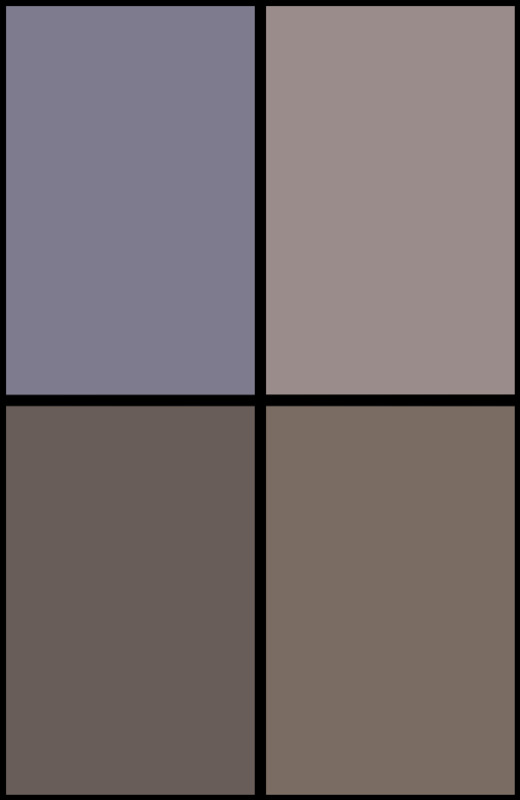 Stefani Renee’s color art is well-balanced and appealing, bringing the aesthetic together nicely. Dungeons & Dragons: Evil at Baldur’s Gate #1 is a fun fantasy read with a likable lead and a decent plot. It doesn’t blow the mind, but it’s fun. Kotz and Renee do solid work on the visuals. In the end, I can recommend this one. Feel free to check it out.